How does the Stock Market Work In Reality? Should you believe Wall Street Analysts? Why do people Lose Money or Make Money in the Stock Market & What are the BIG RISKS? The Stock Market exists to facilitate the exchange of shares of a company through buying and selling company stock. This is why there are called Stock Exchanges. The Stock Market is a generic word that describes collectively all stock exchanges. A specific stock exchange, for example, the New York Stock Exchange (NYSE) or the London Stock Exchange (LSE) is run by a company that maintains the infrastructure to allow the fair exchange of company shares. There are also exchanges that facilitate the buying and selling of Options Contracts such as the Chicago Board of Options Exchange (CBOE). This is a special exchange that enables people to buy and sell the Option of purchasing a stock at some time in the future. If we drill one level deeper, inside each stock exchange there is an Index. So, inside the NASDAQ Exchange, you have the Nasdaq 100 (NDX) which is a listing of the 100 biggest companies (by capitalization) on the NASDAQ exchange. On the NYSE you have the S&P500 which is a listing of the 500 biggest companies on the NYSE. Why do Companies Float on the Stock Market? Companies will float on a stock exchange so they can get access to a large amount of money to help finance the expansion of their business. This is essentially access to capital or the capital markets. Or simply put to Raise Money. For example, I start up a company that helps people buy and sell Bitcoins lets call the company “BitSwap”. Business is booming, in fact, I am getting a lot of demand for the services. But my problem is I cannot fulfill all that demand because I do not have enough money or capital in the business to finance the expansion of the I.T. infrastructure. I have four choices to get money. A Bank Loan – Bank will only lend on already existing secured assets. Private Investors – may want a large share of your company for a small amount of money. The IPO is a great way to secure a lot of money whilst retaining control of your business. This is a large source of income for Wall Street Investment Banks. The stock or share is actually a right of ownership of part of that business and its future company profits. When launching an IPO, the company will decide what percentage of the business to sell and how many shares to issue. So, for my BitSwap company I decide I want to raise $100 million and I will issue 10 million shares at $10 each. For that $100 million I will give up a stake of 50% of my business or issue shares. That essentially values my business at $200 million in total. If my IPO is a success my corporate balance sheet will gain $100 million to invest in infrastructure, staff, and premises. Why Buy Shares of a Company? You will also get a vote on the leadership of the company and be invited to annual shareholder meetings if you hold common shares. What is the Difference Between Traders & Investors? Traders make money by buying and selling stocks on a short-term basis, potentially holding a stock for minutes to days, this is known as Day Trading. Traders also utilize leverage to turn the potentially small gain on a short-term holding into a larger gain. 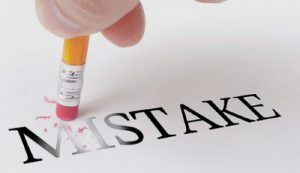 The problem is leverage can also turn a small loss into a large loss. Which means the majority of trader lose over the long-term. Investors hold their stocks over a longer period and seldom use leverage. According to our stock market statistics, the overall long-term direction of the stock market is up, over any 20 year period in history, the buy and hold strategy has never lost. How does Wall Street really make Money? Contrary to popular belieF Wall Street Investment Banks & Brokerage Houses do not make their profits from having super talented money managers that beat the stock market returns. In fact, most fund managers cannot beat the market. Should I be afraid of losing money in the Stock Market? 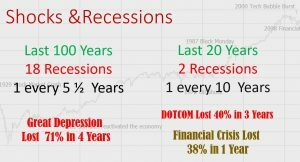 In the past 100 years, we have had 18 economic recessions, so it is perfectly normal to be afraid of losing money in the stock market. 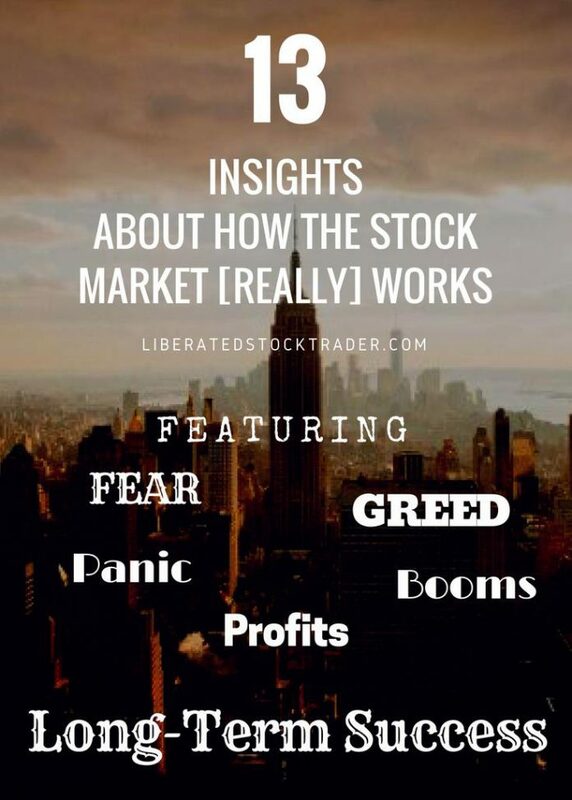 The term Fear and Greed certainly represent the emotions of the market participants. Fear is the panic people feel when the stock market value is decreasing, the natural emotion is to sell and stop losing. People do lose money in the stock market but they also make money. It largely depends on the difference between investors and traders. Lastly, as a long-term investor, you will still want to understand is the market is in a Bull Market or Bear Market, so you can take action to secure your investments as prices go down. For exactly this reason we have created the Stock Market Crash Detector System to help you understand if and when the next crash will happen. What are the most Common Ways to Make Money in the Stock Market? What are the most common Ways to Lose Money in the Stock Market? A good way to get started in investing is to educate yourself in stock market basics by taking a Free Stock Market Training Course. Then you need a higher level of stock investing education to thoroughly understand how the market works. Once you are educated, you will need to select a good stock broker that suits your investing needs and you will need to open a brokerage account. 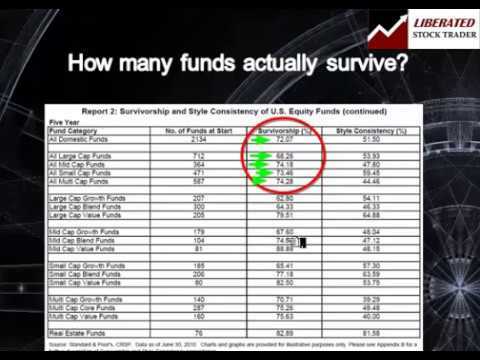 Is there a complete Guide for Stock Market Investing? What are the Biggest Problems with the Stock Market? There are many Stock Markets in the world and they have essentially been established to allow business to get cheap financing to aid rapid expansion in exchange for a slice of the business and an opportunity to profit with the business. 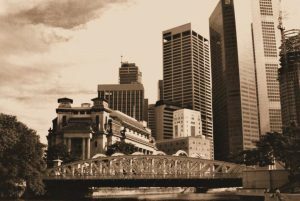 The largest stock markets are located in the richest countries; this enables the business to get access to the wealth and capital available in these countries to finance growth. By purchasing stock in a company you can benefit in two ways. Firstly you can benefit from share price appreciation, the movement of the stock price. Secondly, you can benefit if the company issues dividend payments. Dividend payments are a cash distribution of profits as a reward to shareholders for holding the stock. Wall Street analysis firms provide ratings of the companies and their stocks, however, they can be quite misguided and they are more often than not more bullish than they should be. Most of the investment banks and brokerage houses employ Stock Market Analysts. Their job is to research the firms in the industry they are allocated to, in an attempt to assess if the companies are worth investing in. You can purchase the “Analyst Reports” from S&P, Moodys, The Street, Credit Suisse or the plethora of other information providers out there. The analysts usually attend the shareholder meetings for the companies they cover and probe the management team for further information. Wall Street analysts come under constant scrutiny for the meaningless jargon and inaccurate ratings they put on stocks. Which means it is all open to loose interpretation, which means it is essentially Less Meaningful. You need to read between the lines when interpreting analyst reports. The analysts tend to avoid negative opinions as they tend to receive flack from the management teams and pressure that they may lose access to the companies they cover. Analysts are not paid for the performance of their stock ratings; therefore they have limited motivation to be really truthful. Less experienced stock market investors from time to time get caught up with companies that shamelessly promote Penny Stocks. This industry is rife with COnflicts of interest. If you navigate to the fine print on any of the Penny Stock newsletter sites you will typically read the following text. To watch the full expose video on Penny Stock Scams go here. If you decide to invest in alternative markets, such as Pink Sheets, “Over the Counter” (OTC) or even specific derivative markets like CFD’s the operators of those markets may have a conflict of interest. Sometimes they directly need to take the opposite side of your trade and can, therefore, manipulate the Bid & Ask prices according. A high-quality mature company will have a Risk Mitigation department to try to resolve and avoid any conflicts. I hope this has given you an insight into how the stock market works from inside Wall Street. The stock market works by providing a marketplace for buyers and sellers of shares in a company to safely exchange those shares for the right price. The Brokers and Exchanges make money on the fees and commissions they charge per transaction. Those fees fund the security and infrastructure to make the fair exchange of stock possible. Did you like this article? Leave us a comment or your feedback to help us improve it.